Follow the hour hand and minute hand of a clock for 24 hours. How many times do they form a right angle?Timothy's house has several rooms, each of which has an even number of doors, including doors that lead outside. 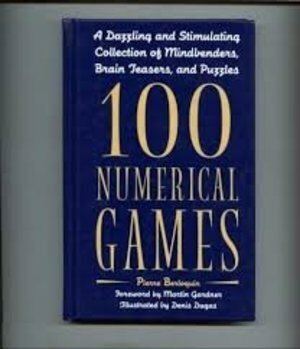 Is the number of outside doors even or odd?Stimulating and delightful, this collection of puzzles features original and classic brainteasers. The author, a puzzle columnist for Le Monde, specially selected these mind-benders for the widest possible audience, ensuring that they're neither too hard for those without a math background nor too easy for the mathematically adept. All puzzles are clearly stated and accurately answered at the back of the book ― and they're great fun to consider, whether you crack them or not. Includes a Foreword by Martin Gardner.